Every modern company now has to compete in a market environment that is becoming ever faster, more complex and competitive. Management accounting must respond to these changes, otherwise its risks becoming irrelevant to real business needs. This book demonstrates how the discipline can raise itself up to a new level of performance, allowing it to cope with challenges such as flexible manufacturing systems, flatter and leaner organisations, strategic alliances and globalisation. 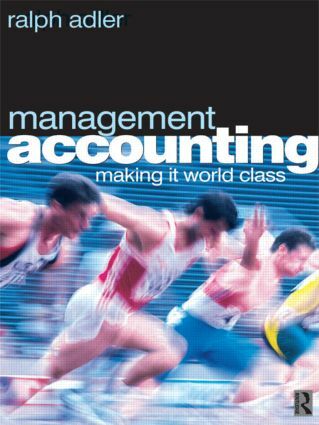 It explains how cutting edge management accounting techniques can transform a firm's operations and prospects, enabling it to become the best of the best. By describing the contributions made by leading practitioners and experts, it shows how their original insights have developed into modern best practice. Ralph Adler is Professor of Management Accounting and Director of the Otago Centre for Organisational Performance Measurement and Management at Otago University, New Zealand.